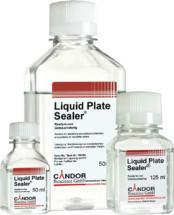 Liquid Plate Sealer is a stabilizer for antibodies and antigens coated on polystyrene- or glass-surfaces. 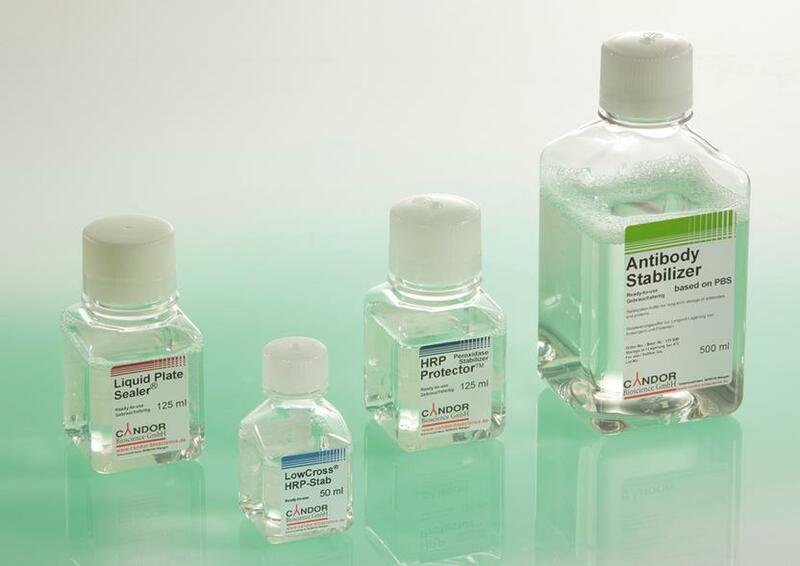 After immobilization of the antibodies or antigens and blocking, Liquid Plate Sealer seals the plates with a uniform stabilizing layer demonstrating good solubility and without affecting the assay afterwards. 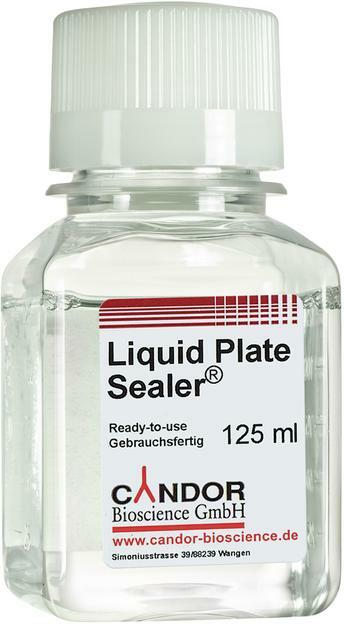 Plates treated with Liquid Plate Sealer can be stored at 2-8°C for long periods after drying. Therefore you can build up stocks of coated ELISA plates to save time and money and to obtain more comparable results. Liquid Plate Sealer is used for stabilizing coated ELISA plates, immunochromatographic test strips (lateral flow assays), affinity chromatography columns, protein arrays and for similar applications. 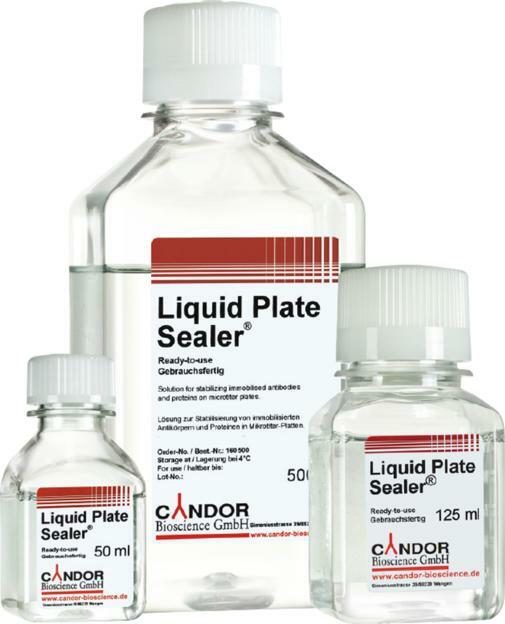 Liquid Plate Sealer is ready-to-use and applicable for research kits and for commercial ELISA kit production. Improve accuracy of your ELISAs!